THE price of bread has gone up to RTGS$2,30 from RTGS$2 with millers saying the increase is not associated with the cost of flour as the price of the product has remained constant. Yesterday, bread, which has been in short supply in the country over the past few weeks, was being sold for RTGS $2,30 per loaf at most outlets in Bulawayo’s Central Business District. It was going for as much as RTGS$2,50 in high density suburbs. However, some supermarkets that bake bread as well as small bakeries are selling it at between $1,60 and $2 per loaf. Bakers Inn was giving its customers the option to buy a loaf for US$0,60 while demanding $2,30 per loaf for those paying in bond notes. Lobels and Proton bread was also going for RTGS $2,30 per loaf. Grain Millers’ Association of Zimbabwe (GMAZ) chairperson Mr Tafadzwa Musarara said the price bread hike had nothing to do with an increase in price of wheat. He said bakers increased the price of bread before Government announced an increase in the price of wheat on Tuesday. “The GMAZ has noted the recent increase in bread prices. These bread price increases are, however, not in any way associated with flour cost drivers as the product supply price to bakers has remained constant since the new price of bread was gazetted. Cabinet announced an increase in the price of flour yesterday (Tuesday), however bakers had already increased the price of bread. This increment has nothing to do with the price of flour because as GMAZ we had not increased the price of flour and they were still getting it from us at the same price,” Mr Musarara said. Bakers’ Association of Zimbabwe President Mr Ngoni Mazango said he was not aware that some bakers had increased the price of bread, adding that the increase was not official. “Our official position as BAZ is that the price of bread is still $2 for a standard loaf. However, I cannot answer on behalf of individual bakeries. As you are well aware, government has announced new prices for grain crops. We are yet to consult each other and come up with something tangible as far as price reviews are concerned,” he said. Scores of people in Bulawayo were seen queueing for in-house baked bread at different supermarkets as it was cheaper. A loaf of bread at OK Zimbabwe baked in the supermarket was going for $1,80. Members of public who spoke to The Chronicle urged Government to intervene. “The cost of living continues to go up. Today it’s bread that has gone up but tomorrow it could probably be something else. We appeal to Government to come up with measures that will ease the burden. Some of us have big families. 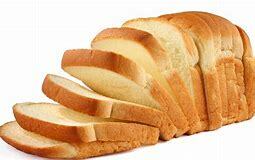 We need more than one loaf and the new price means we won’t be able to buy bread,” said Mrs Conciliar Mthunzi. The bread price hike comes at a time when Government has revealed that it is working on safety nets to cushion citizens against price distortions on basic commodities. Government on Tuesday set new producer prices for various crops for the 2019-2020 farming season reflective of the current economic situation in a development that is expected to help farmers to execute their agricultural business. Wheat is one of the commodities that had an upward price review. The announcements were made by the Minister of Information, Publicity and Broadcasting Services Cde Monica Mutsvangwa. “Cabinet approved the proposal by the Minister of Lands, Agriculture, Water, Climate and Rural Resettlement to review the producer prices for maize, small grains, wheat, soya beans and cotton as follows: Maize and small grains, RTGS$726 per tonne, wheat RTGS$1 089,68, soyabean, RTGS$918 and cotton RTGS$1 950 per tonne,” said Minister Mutsvangwa. “Cabinet also approved that the 38,5 percent subsidy on the selling price to millers be maintained in order to prevent increases in the retail prices. In US dollar terms, the prices are now aligned to the import parity prices in the region.